Turkish FM claims that the Syrians' failure to respond to Israeli airstrike means there is a secret deal between the two countries. Turkish Foreign Minister Ahmet Davutoglu criticized the Syrian government over the weekend, for failing to respond to an alleged attack by Israel inside Syria earlier this week, the Turkish daily Hurriyet reports. 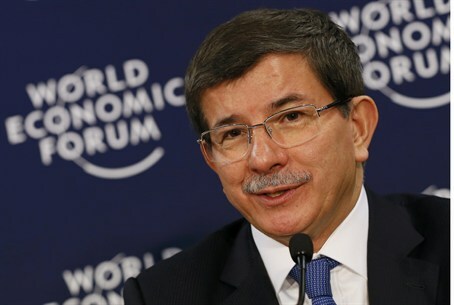 Davutoglu claimed that the Syrian stance raises suspicions that there is a secret deal between the two countries. “Why doesn't [Bashar al-Assad] throw a stone at the Israeli planes while they fly over his palace and insult his nation's honor? Why doesn't he do anything against Israel while he drops bombs on the innocent people of his country? Is there a secret agreement between Israel and Assad?” he added, according to Hurriyet. Davutoglu claimed Syria should “do whatever a country that comes under attack should do.” He suggested the Israeli air strikes might serve interests of the Syrian government, saying Assad is “exploiting” the attack to bolster support for his regime among Muslim countries. Israel allegedly launched an air strike inside Syria on Wednesday, reportedly targeting a convoy carrying anti-aircraft weapons bound for Hizbullah. The Syrian military, however, denied that the target of the attack was a weapons convoy. It accused Israel of launching a strike on a military research center at Jamraya, near Damascus. Syrian rebels disputed the claim, taking responsibility for the attack themselves. Israel has officially remained silent about the attack, but on Friday an unofficial television report confirmed that the target was a convoy of SA-17 missiles that was preparing to leave a base at Jamraya, near Damascus, in order to deliver the missiles to Lebanon's Hizbullah. The U.S. broke its silence overnight Wednesday, with American officials saying that Jerusalem had informed Washington about the attack. The officials also said that Israel had launched an air strike on a convoy carrying Russian-made SA-17 missiles. On Thursday, Syria threatened to retaliate for the Israeli attack, stressing in a letter to the UN Secretary-General Ban Ki-moon its "right to defend itself, its territory and sovereignty" and holding Israel and its supporters accountable. Tensions between Turkey and Syria have been on the rise, ever since the Turkish government publicly called on Assad to step down. After several mortar shells from Syria landed on Turkish territory, Turkey formally asked its NATO partners to deploy U.S.-made Patriot missiles along its border with Syria. NATO agreed in December to deploy the Patriot missiles, and the deployment began at the beginning of January.